Adventures in my small West London garden. Or, 8.30am to 5.00pm to be precise. Well, the weather was fine again, wet due to the overnight rain, but mild, so I decided to crack on with more of the jobs that needed tackling. I had a few plants in pots and throughout the garden that were in desperate need of dividing. The hosta above was just starting to send up shoots, so it was the perfect time to give it a good chop in half. 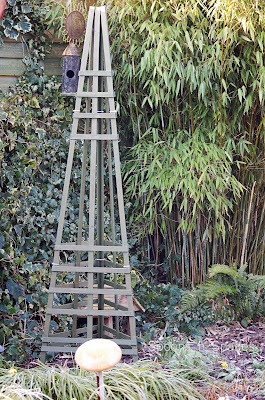 Next, I placed the obelisks that I'd been painting last week. I'm really looking forward to seeing these clothed in sweet peas and morning glory. 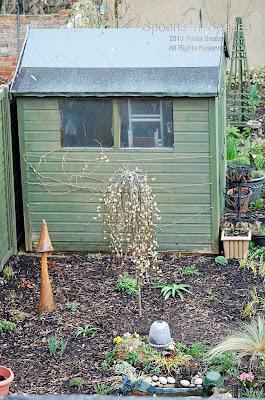 I had lots of plants overwintering in the coldframe, and it was time for them to move on and make room for the seedlings that will need hardening off in the next few weeks. I didn't realise quite how many cuttings I'd taken of veronica and geraniums (definitely got carried away!) and then all the aquilegias that I'd potted on. Still, you can never have enough plants, so I found room for them all somewhere. Then I made my first set of outdoor sowings for the year. And a few more trays that have gone indoors until things really warm up. 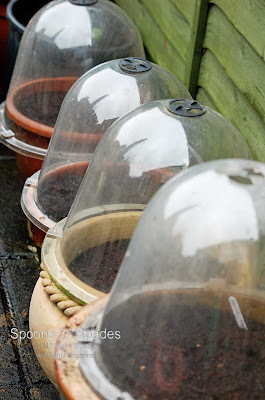 All the outdoor sowings are protected by cloches, mainly to stop my cats and the foxes and squirrels digging everything up, but also as a safeguard against any chilly nights. Not a bad days work, and the garden's looking very springlike now. Lots more to do, but my back needs a good overnight rest! Gosh, hope that you can move tomorrow after all that effort. Love the obelisks and adore sweetpeas. Can't wait to see how it looks coming up to the summer. What a lovely garden and path you have! Seems like spring is somewhat late in a lot of places this year. Thanks for visiting my blog. It has been very late, but it looks like things will catch up now with the warmer weather forecast. Goodness you have been working hard there's such a lot to do at this time of year isn't there and what with the cold weather delaying everything etc. 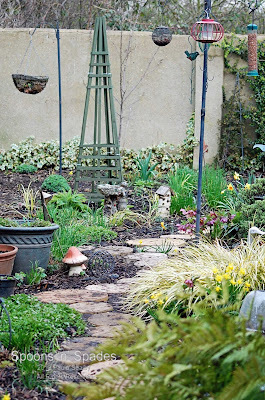 Love the pictures of your garden and looking forward to seeing it in the summer when it is in full swing. What a lovely garden you have, love the long view with your path. You have certainly been busy with all the jobs that need doing at this time of year, it will be wonderful when you see the results later in the year! I'm like you, I love plants for free, I always examine them in the garden centre before buying to see which can be split! 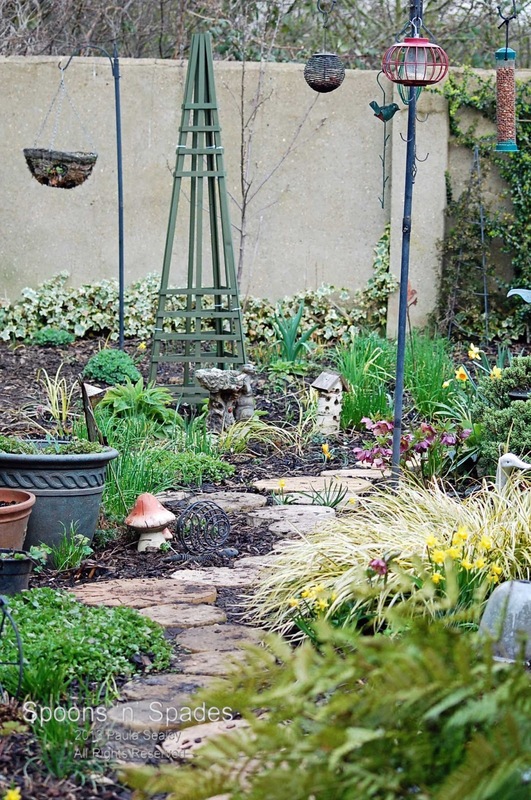 Lovely photographs of your garden; I look forward to seeing it in full bloom. 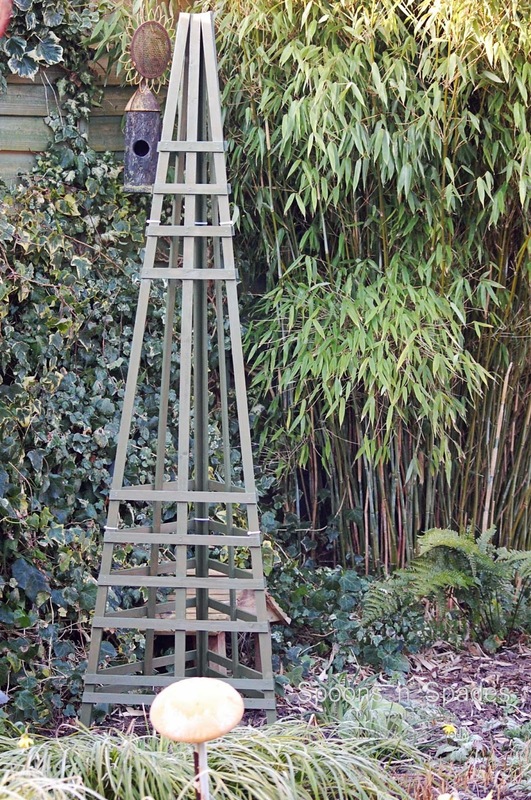 And the obelisks will look beautiful with those flowers growing up and around them. I hope so Wendy. Doesn't help that I knocked a tray of sweetpea seedlings over today and squished some of them. 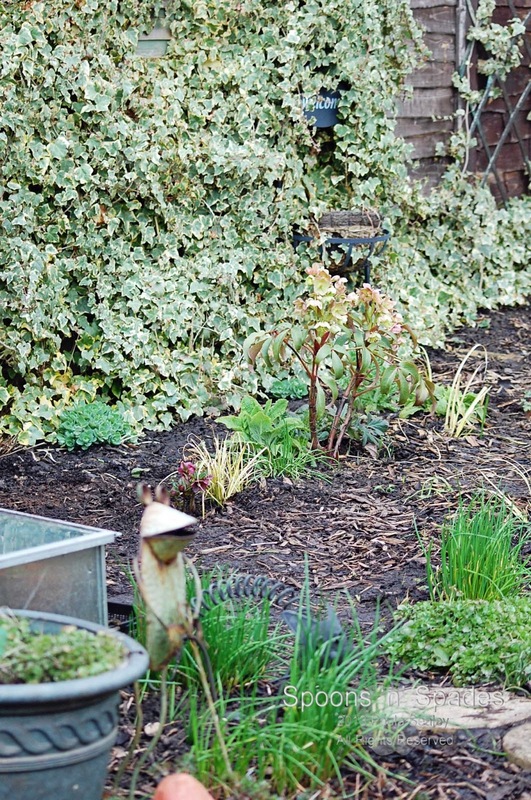 Your garden looks lovely with what looks like wood chip mulching. I like the cloches you have they look quite nice all lined up together. So heartening to finally be able to sow outdoors, and thank you, you have reminded me that I need to sow garlic chives too. As for free plants, what's not to love! 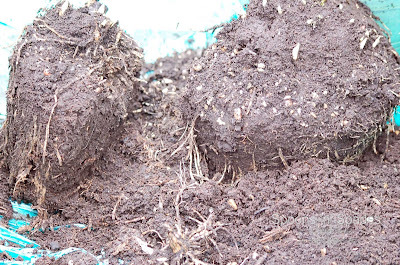 I hope your hostas will be very happy and slug free in their new home. Thanks Janet, I hope they'll be slug free too, although I doubt it as now we've had a bit of rain they are all over the place! How lovely that you've had some good weather. This is a great reminder for me to split my plants, my hosta is jam packed in a pot. 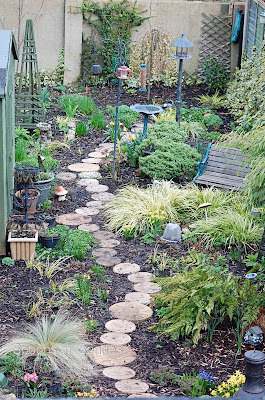 Thanks Snowbird, I love my little path too :-) Yes, my hosta should have been out of it's pot last year, but it was miserable and wet I really couldn't be bothered. Hopefully the split sections will enjoy their new homes around the garden. Some of my herbaceous plants are just about mature enough to be given the same treatment. I'll be doing similar next spring. I am hoping to be quite methodical about it and only really do what does well or what I want more of - but I doubt it will end up like that! Lol, it never does Angie. 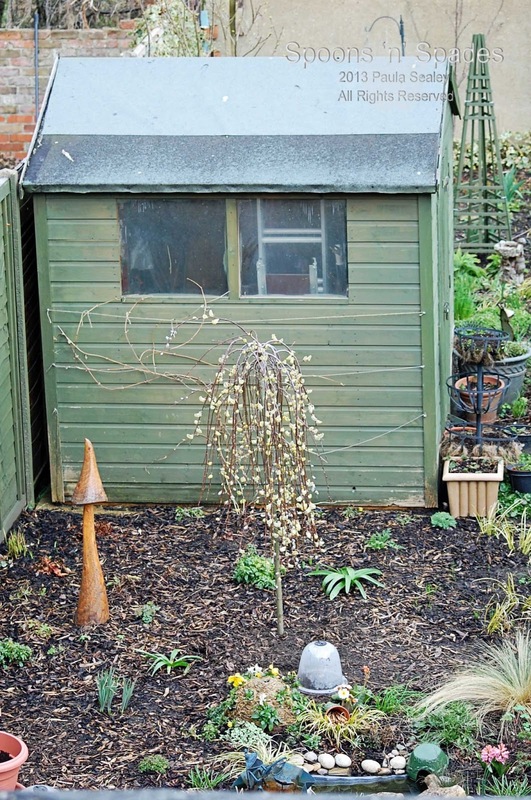 We gardeners are plant hoarders and can't ever resist just one more. 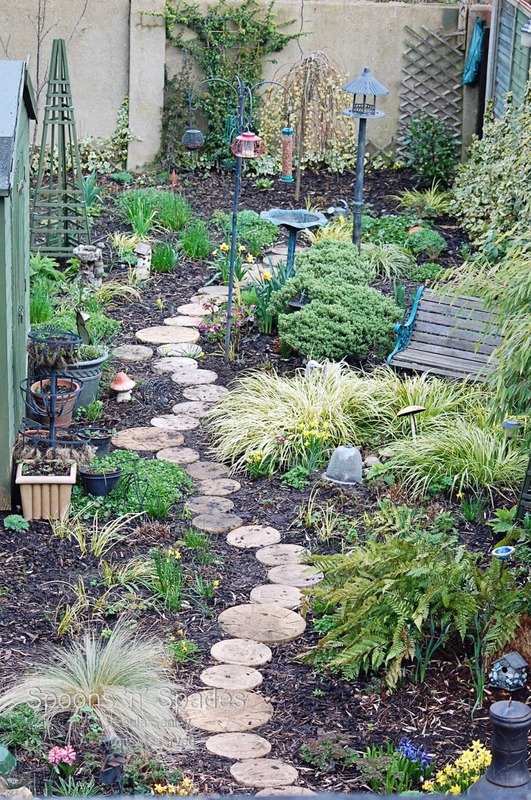 I love those stepping stones through the garden! Are they wood? And your obelisk is so pretty! I do love the color. It will look fabulous with morning glories and sweet peas on it. Doesn't working out in the garden all day feel great?! If only the weather would stay cooperative! How fresh everything looks now. I like your little path! Yes, I love the 'green' of spring Linda. It's looking great Paula.. don't forget to make time to sit out on that lovely bench and just enjoy it! I need to split and repot some of our hostas - half were done last year. WE grow ours in pots to try and limit slug damage a little. I think the hardest part will be getting them out of the pots! 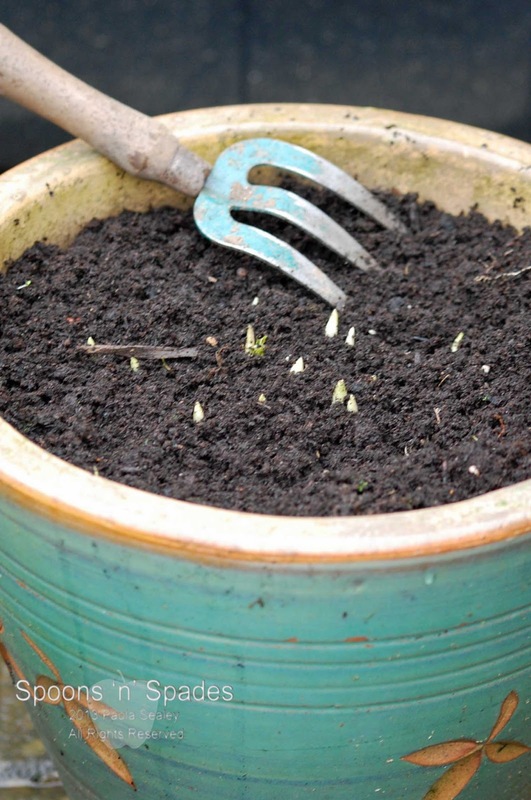 I've tried keeping mine in pots Sue, but somehow those pesky slugs still manage to have them for dinner. I figured I may as well just pop them in the ground and hope for the best. Oh, I'd love more time to garden too, I think we need a few extra hours each day now just to catch up with everything! Your comment will appear after moderation. Thank you so much for your visit and for taking the time to comment. Please leave a link to your blog if you have one, as I'd like to visit you back. It's all about the seedlings. And it was all going so well. I'm a sucker for a strawberry! So, there is a gardening god! Where is all the frogspawn?